Fostering greater opportunities for students to succeed at UCF. Help organize programs and experiences geared toward educating the UCF community. Creating a forum where LGBTQ+ history and culture is acknowledged and celebrated. Creating a space where resources can be created and explored in the future. The Q Guide is a comprehensive guide to the LGBTQ+ resources available to students and allies of the Orlando UCF campus. The T Guide connects transgender UCF students to the resources and individuals that are available to support transgender identity and transition. LGBTQ+ Services has identified numerous gender neutral restrooms for students who need a safe space to change and utilize a restroom without having to be restricted based on gender. Above is a map of the gender neutral restroom map of the UCF campus. The Alliance Mentoring Program aims to match LGBTQ+ staff and faculty mentors with LGBTQ+ student mentees. Mentors will serve as a personal role model for the mentee(s) and will provide support and encouragement for mentees. The mentorship process will included goal-setting in areas such as personal, educational, academic and professional. Safe Zone training is a series of workshops for UCF faculty, staff and students who have an interest in becoming a member of the Safe Zone Program. The UCF Safe Zone training sessions are delivered in two parts: LGBTQ+ 101, and Safe Zone Advocate Training. For more information visit the UCF Safe Zone website. The Gender & Orientation Language Diversity Workshop (GOLD) was created by students working in LGBTQ+ Services and aims to provide education on topics concerning appropriate and inappropriate language specific to gender and sexual/romantic orientation within the LGBTQ+ community. This LGBTQ+ Services facilitated program addresses concerns about the coming out process for LGBTQ+ individuals. Join the conversation about theory and on how to support a family member or friend who may be coming out or is struggling to find their identity. This workshop explores the process and challenges of coming out as Lesbian, Gay, Bisexual or Transgender. 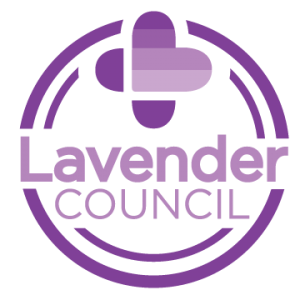 Is an advisory committee made of students committed towards advising LGBTQ+ Services on student- centered programs for members of the LGBTQ+ community on campus. Is a program that trains students to facilitate LGBTQ+ discussions that are in relation to their own identity and others. Located in Ferrell Commons across from Marketplace, Pride Commons is a place for UCF students who are looking for resources, community, a place to hang out, or a quiet place to study. It is open to all students of all genders and sexual orientations. The Pride Commons is staffed by Social Justice & Advocacy staff members, the MSC Executive Board, and student assistants.